"Death from a Bomb." 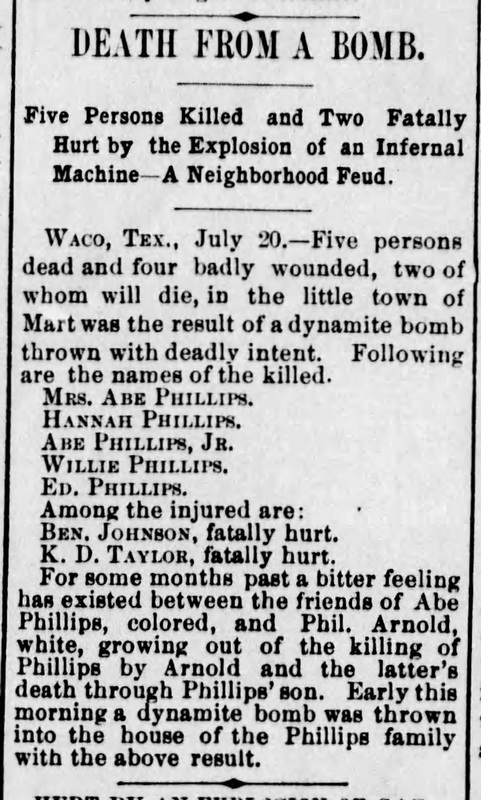 ~ Source: Green Bay Press-Gazette (green Bay, Wisconsin) ~ Creator: Lynching in Texas Staff ~ Date: July 21, 1895. 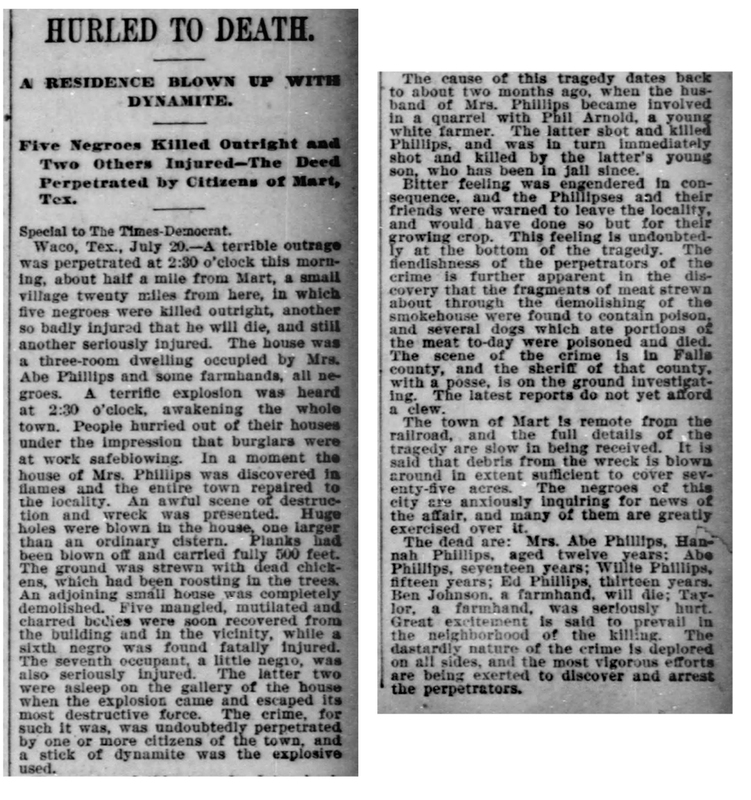 "Hurled to Death." ~ Source: The Times-Democrat (New Orleans, Louisiana). ~ Creator: Lynching in Texas Staff ~ Date: July 21, 1895. Lynching in Texas Staff, “Lynching of K.D. "Kid" Taylor,” Lynching In Texas, accessed April 23, 2019, http://lynchingintexas.org/items/show/194. Published on Feb 15, 2018. Last updated on Sep 27, 2018.